We’ll give you the information you need, completely unbiased. We’ll help you find the right products - less time, less hassle. ⁠Not all comparison sites are created equal. You won't find another quite like us - here's why. Fighting your corner shapes everything we do, all the time. We hope you'll choose to buy through us when you pick your insurance and financial products, but as long as we've helped you choose the right ones for you, we're happy. We make money, but we don't make it from you. We'll never add fees or commissions to the prices you see on our site and you won't find deals cheaper by going direct. We don't have favourites either. Our service is unbiased and our site is ad-free. Need more proof? We're authorised and regulated by the Financial Conduct Authority (FCA) and we're the only site of our kind that has British Insurance Brokers' Association (BIBA) membership. Insurance and finance can be a snooze-fest. Luckily, we're insomniacs. GoCompare has one simple aim: making sure you get exactly what you need with less hassle, less time and less money. Think of us as enthusiasts - we're bang into insurance, energy, broadband, phone bills and personal finance, so you don't have to be. Our mission is to help you get exactly what you need, so you keep more money in your wallet and more hours in your day. Your data is yours to keep and we've no interest in making it anyone else's business - 'nuff said. 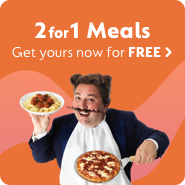 GoCompare has partnered with Energylinx, part of the GoCompare Group, to help you switch energy. Energylinx Limited is registered in Scotland, registration number: SC244794, registered office: the e Centre, Cooperage Way, Business Village, Alloa, FK10 3LP. *Qualifying purchase needed. 1 membership per 12 months. App only. May have limits on days, menus, dates, numbers and require advance booking. For further information and full Terms and Conditions, please click here.